Kenneth Gross, a Renaissance scholar and professor of English at the University of Rochester, became the inaugural holder of the Alan F. Hilfiker Distinguished Professorship in English on Friday, April 4. "When I graduated from Rochester in 1960 I felt that I should do something special to repay the University for the education, financial support, and experience I received as a student," said longtime Trustee Alan Hilfiker. "The creation of this endowed position soon became number one on my bucket list and it has been 44 years in the making." A cornerstone of the University's curriculum since 1850, the Department of English has a rich history of talented faculty, including two Pulitzer Prize-winning poets and a MacArthur fellow. Hilfiker expressed the hope that this professorship will help the department continue to attract and train the next generation of scholars. "Alan's continued support of the English department at Rochester is reflective of the University's commitment to the humanities," said University President Joel Seligman. "Ken's dedication to both his students and his craft as a scholar of dramatic literature embodies what this new professorship represents." Gross received his doctorate from Yale University in 1982 and has taught English at the University of Rochester for nearly 30 years. Much of his research focuses on Renaissance literature and the work of William Shakespeare, but also branches out to lyric poetry, literature, visual arts, and traditional and experimental theater. For five years he served as the director of Undergraduate Studies in English and director of the English Honors Program. His books include Shylock is Shakespeare (University of Chicago Press, 2006), Shakespeare's Noise(University of Chicago Press, 2001), The Dream of the Moving Statue (Cornell University Press, 1995), and Spenserian Poetics: Idolatry, Iconoclasm, and Magic (Cornell University Press, 1985). 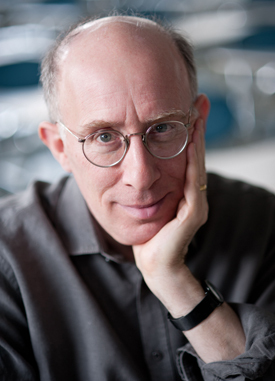 He is the recipient of numerous awards, including the George Jean Nathan Award for Dramatic Criticism for his book Puppet: An Essay on Uncanny Life (University of Chicago Press, 2011), fellowships from the Guggenheim Foundation and the American Academy in Berlin, and the University's Goergen Award for Excellence in Undergraduate Teaching. Next academic year he will be a visiting scholar at the Dorothy and Lewis B. Cullman Center for Scholars and Writers at the New York Public Library. "I am very proud to be the first person to hold this named professorship," said Gross. "I have a strong sense that, along with my own teaching and research, it honors more broadly the work of the English Department and the University's commitment to the study of literature and the humanities. That's a great thing. Having the support from Alan Hilfiker, who has also created a graduate fellowship in English and a scholarship fund for first-generation college students, makes me want to do my job even better." Hilfiker is a founding partner of Garlick, Hilfiker & Swift, LLP, a law firm in Naples, Fla. Born and raised in Rochester, he was a partner for 39 years at Harter, Secrest & Emery, LLP, and a founding partner of the law firm's Naples office in the early 1980s. He received a law degree in 1963 from Cornell Law School, where he was a member of the board of editors for the Cornell Law Review. A trustee since 1988, he is closely engaged with the University and a generous supporter of scholarship initiatives, as well as the Alan F. Hilfiker Gallery in the Department of Rare Books, Special Collections and Preservation in Rush Rhees Library. He also is a charter member of the George Eastman Circle, the University's leadership annual giving society. In 1992, he was awarded the University's James S. Armstrong Alumni Service Award, and in 2010 he received the Distinguished Alumnus Award from the School of Arts & Sciences. Hilfiker and his wife, Carol, an active alumna who received her degree in education from the University in 1960, live in Naples, Fla. and have three children and nine grandchildren.